The Women’s Resource Center (WRC) provides critical institutional support services for women who require assistance due to issues of sexual and gender-based violence, gender discrimination, and restricted access to education. WECO raised the funds for a childcare center that will help the WRC expand their services and reach more families, as well as prepare the next generation through an early education childcare program. As a result of the childcare center, the WRC will also be able to offer more in-center workshops and counseling to women in the area. Support the WRC childcare program with us. In Cambodia, less than 5% of the rural population graduates high school. The Ponheary Ly Foundation (PLF) provides a comprehensive education program that supports students in remote areas by providing them access to primary, secondary, and now university schooling. WECO is working with the PLF on the development of an alumni, mentorship, and career development initiative as part of their program for girls, to provide holistic support for students as they move through their schooling and beyond. Help us educate the future of Cambodia. Violence against women and girls is perpetuated by harmful gender norms that enforce a woman’s importance as primarily mother and wife. A woman’s reputation and protection takes precedence over her access to education or employment, which means her mobility is highly restricted – especially in rural areas – due to both a fear of abuse and the lack of available support. Social services and support to survivors of sexual assault or domestic violence are not systematically provided, available, or accessible. Gender stereotypes prevent women from expanding their opportunities and present long-term barriers for women who seek better lives. Available work is mainly concentrated in a few informal sectors with less social and economic value. Women and girls perform the majority of essential but unpaid domestic labor in households and communities, which prevents them from obtaining levels of education that would result in higher paid employment. 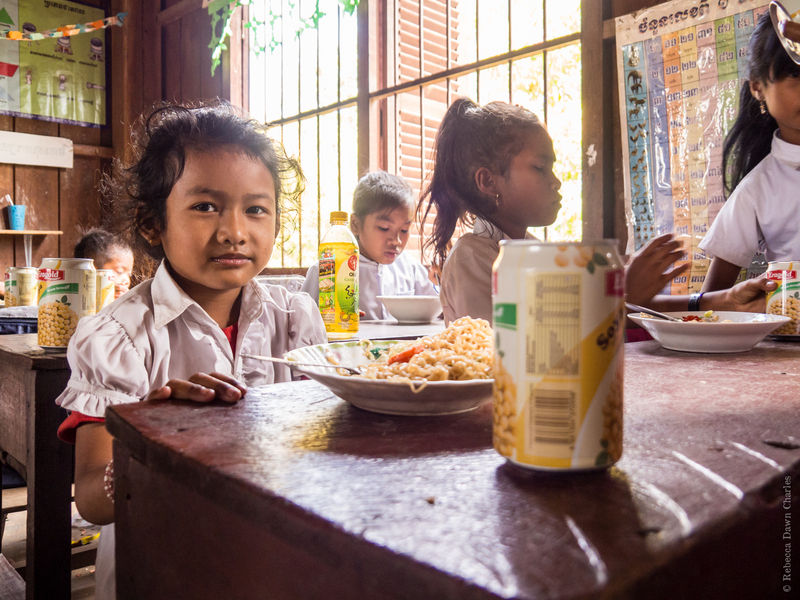 Without educational and support services, Cambodian women will have severely limited life options as well as lower potential for economic autonomy. Mental health and counseling are new concepts for Cambodian culture, and the social work sector in general in is extremely underfunded. Although policies and legislation exist that make violence against women illegal, there remains a gap between established laws and their actual implementation, especially in rural communities. These progressive laws are relatively new. In order to be effective in making gender equality a reality – not just a goal – they must be accompanied by widespread social attitude shifts.